“I see it every day- families in full panic mode because no one had a plan for dealing with an elder parent’s health situation” Will this be you? This book is the first complete how-to guide to aid boomers and their children in this complicated and sometimes scary stage of life. It provides easy to understand insight into critical matters such as advance directives, living wills, DNR orders, driving and living arrangements etc. with the aim of making those family discussions as painless as possible. Avoid the harsh consequences of failing to adequately prepare for what may lie ahead such as expensive lawsuits and family fights. Its all done with humor and keen insights. So be prepared to Age Bravely. All of these outcomes, and many other tragic ones as well, are easily avoided by simple foresight and planning. Unfortunately, the need for decisions to be made may come sooner and unexpectedly. In fact, any one over the age of 30 should read this book and act accordingly. 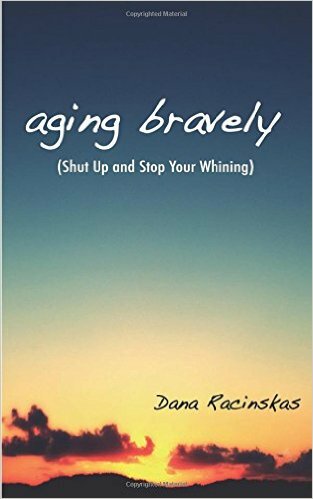 Read this book, follow all its recommendations, and you will be on your way to aging bravely.